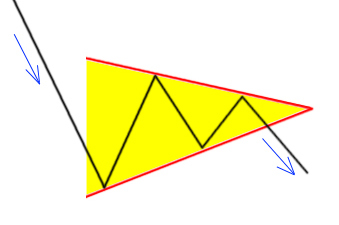 Triangles are among the most famous chart patterns. And, Symmetrical Triangle is the most famous and popular kind of triangle chart patterns known in technical analysis. 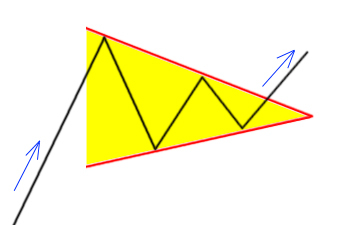 There are some professional traders who only trade the triangles, because they believe triangles are much easier to locate, and it is also much easier to take a position, set the stop loss and target, when a triangle is formed on a bullish or bearish market. In Symmetrical Triangle, both of the two legs are pointed to the same point. It means both of the legs have the same angle against the horizontal line. What Is the Symmetrical Triangle? However, Symmetrical Triangle also forms on the ranging and sideways markets. Bullish Symmetrical Triangle Chart Pattern forms at the top of an uptrend. In most cases, a Bullish Symmetrical Triangle that is formed in an uptrend will break above. It means the price will break above the triangle resistance and the uptrend will be continued. Therefore, Bullish Symmetrical Triangle in an uptrend is a continuation pattern usually. However, it doesn’t means that you should go long as soon as you see a Symmetrical Triangle formed on a bullish market. You should always wait for the price to break above the triangle’s resistance, and then you go long. I will tell you how, later in this article. Bearish Symmetrical Triangle Chart Pattern forms at the end of a downtrend. Like the Bullish Symmetrical Triangle, a Bearish Symmetrical Triangle is usually the downtrend continuation, and will break down eventually. However, it is not a good idea to trade based on these rules, simply because the market moves on its own way and it doesn’t necessarily follow these rules. You cannot go long just because you see a Symmetrical Triangle formed on a bullish market. You cannot go short just because you see a Symmetrical Triangle formed on a bearish market. Wise, experienced and disciplined traders have a safer way to trade these kinds of chart patterns. On a bull market, you have to wait for the Symmetrical Triangle resistance breakout. No matter what time frame you use to trade, when a candlestick is closed above the resistance, you can go long and set your stop loss several pips below the open price of the candlestick which has closed above the resistance. If you were trading the above triangle resistance breakout, you could go long when one of the candlesticks closed above the triangle resistance (see the below screenshot). You could set the stop loss several pips below the breakout candlestick which is the candlestick that closed above the resistance. However, that stop loss could be a little risky, and so, it would get triggered if the market goes down to retest the broken resistance. Therefore, you could place your stop loss a little lower, just to be at the safe side. That is why I have indicated three levels for the stop loss on the below screenshot. One of them is a little risky, and the other two are safer. You have to calculate your positions size based on the stop loss size, not to lose a lot when you choose the wider stop loss. You should choose your position size in a way that you always take a 2-3% risk, no matter how wide or tight the stop loss is. As you see on the below screenshot, the price went down to retest the broken resistance, after a candlestick broke above the resistance and closed above it. Retesting is something that markets do sometimes. It means, when the market breaks above a resistance, it sometimes goes down to retest the broken resistance. A broken resistance should work as a support. It is the same with support breakout. A broken support line should work as a resistance during the retesting attempt. Retesting assures you that the broken support or resistance is valid. When a support or resistance line is valid, it will work as a resistance or support line after the breakout and during the retesting. If a broken resistance doesn’t let the price go down and candlesticks close above, it means the broken resistance is valid, and you can trust its breakout to go long. This is something you can clearly see on the below screenshot. Some smart traders wait for the market to retest the broken resistance or support. A valid retesting assures that the resistance or support is valid and its breakout is reliable and trustworthy. After the breakout, if the market violates the broken support or resistance, you have to be careful not to take any positions, because it means either the support or resistance line you plotted on the chart is invalid, or, it is valid but the market has violated it and it cannot work as a resistance or support after the breakout. It increases the probability of hitting your stop loss. Please look at the below screenshot carefully and pay attention to the entry and stop loss levels, as well as the market retesting attempt after the resistance breakout. I do not recommend taking positions with less than 1:3 risk/reward ratio. It means your target has to be at least x3 of your stop loss. For example, if your stop loss is 30 pips, your target has to be 90 pips. It is not only that. You have to move your stop loss to breakeven if the market moves toward the target for a reasonable number of pips which can be the same or twice of your stop loss size. That was about going long after the resistance breakout when a Bullish Symmetrical Triangle is formed on a bullish market. Going short with a Bearish Symmetrical Triangle has the same rules. You wait for the market to break below the triangle support line. Then you go short and set your stop loss several pips above the candlestick that has closed below the support line. You can consider the safer levels of stop loss as explained above. Additionally, if you like to take less risk and have safer trades, you can wait for the market to retest the broken support line, and in case the broken support line works as a resistance properly, you can go short. No. There are some other things that are important to know. 1) As it was explained at the beginning of this article, Symmetrical Triangles do not necessarily have to form always on bull or bear markets. They also form on the sideways and ranging markets. In this case, we can still wait for the price to break above the triangle resistance to go long, or below the support to go short. However, something that you be careful about in a ranging market is that usually the breakouts are not reliable and the price can easily violate the broken support or resistance after the breakout. On ranging markets, it happens a lot that you think you have found a good triangle pattern, but then the market keeps on moving sideways without paying any attention to the triangle. It keeps on moving sideways and it reaches to the area that we call it Apex. Professional traders say that when the price reaches the Apex, the triangle is not valid anymore and the next direction of the market can be anyone’s guess. So I recommend you not to use the triangles and also the other patterns to trade in a ranging market. You’d better to wait for the market to break out of the range and start moving up or down strongly, and then you wait for a trade setup. 2) Symmetrical Triangles do not always work as continuation patterns. They can work as reversal patterns too. It means they can form at the end of a bull market and then instead of going up after breaking above the resistance of the Triangle, the market reverses and goes down after breaking below the support line of the triangle. It is the same with the bear markets. A Symmetrical Triangle at the end of a bearish triangle can sometimes work as a reversal pattern, and the market breaks above the resistance and goes up. To stay away from losses, you have to wait for a breakout, and then take a position, and you should not trade based on the rules that are written on the papers. Markets do not pay any attention to these rules, and they move on their own ways. 3) It is usually clear where to take the position and set the stop loss. But it is hard to say how long you can hold the position, and how far the market will keep on moving after the Symmetrical Triangle breakouts. As it is hard and sometimes impossible to predict the size of the market movement after a trade setup, some traders always take positions with a constant level of risk/reward ratio. For example, they always take 1:3 positions. 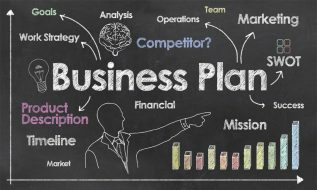 However, when it is sometimes possible to predict the size of the movement to maximize your profit and have wider targets, why shouldn’t you do it? Some traders and chartists have tried to predict the size of the market movement after the Symmetrical Triangle breakouts. Their efforts have resulted in some good points that are so helpful in holding and setting the target orders of the positions that are taken based on the Symmetrical Triangle breakouts. This part is a little harder to understand. So please pay more attention. Now, the question is how could we know where the market would touch the CD line, and how far the market would go down after the breakout? There is an answer for this question too. Just plot a vertical line from the A point and let it touch the CB leg. Now measure how many pips the length of this vertical line is. Whatever it is, after the breakout, the market downward movement will be the same size as this vertical line. I have already done that on the above chart. You can see the result on the below chart. Are these movements guaranteed 100%? Absolutely not. If they were, now there would be an untold number of millionaires. But something that guarantees your profit at the end of the month, is that you wait for a proper breakout and trade setup, you enter the market and set a proper and reasonable stop loss. Therefore, if the market doesn’t behave as you expect, then you will be out with a small loss, and you can try your luck and recover your loss with the other trade setups. This is how it works. The below chart shows a Symmetrical Triangle resistance breakout. As you see, the same calculations and predictions we had above, are applicable and true about this trade setups too. However, as it was already explained, the movements and directions are not guaranteed and exact as they are predicted by the plotted lines. In spite of this, and although we see some violations on the blow chart, all of the target points are reached. Do you agree? 1. Symmetrical Triangle Chart Pattern can work both as the continuation and reversal pattern. In an uptrend, it is more probable and expected that a Symmetrical Triangle Chart Pattern breaks above the resistance and the uptrend to be continued. When formed in a downtrend, it is also more expected that a Symmetrical Triangle Chart Pattern breaks below the support line and goes down. 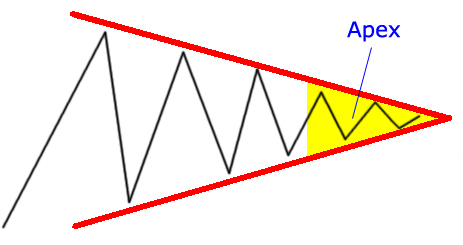 However, you have to be aware that Symmetrical Triangles also work as reversal patterns on uptrends and downtrends. Therefore, be careful and not to take any position before a breakout that indicates the direction. 2. Be precise and disciplined about your stop loss and target orders, and set them according to the directions I gave you above. Calculate your positions size properly not to take more than 2-3% risk in each trade setup. 3. Although we do our best to have safer positions, our stop loss will be triggered sometimes. This is absolutely normal and happens for all traders, even the most professional ones. None of the above techniques I explained are guaranteed. Additionally, it takes you some time to master these techniques and become able to locate proper and reliable trade setups. Losing is part of this game and has to be tolerated and handled properly and professionally. Do not expect that the market hits your target anytime that you take a position. And do not get disappointed when the market hits your stop loss sometimes. What Is the Ascending Triangle? 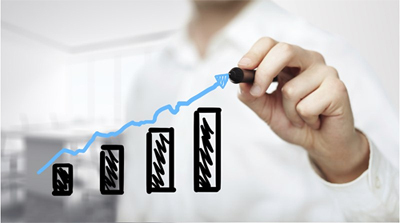 Ascending Triangles are known as bullish continuation patterns. It means they usually form on the bullish markets, and they usually break above, and so the uptrend will be continued. In an Ascending Triangle, the upper leg is horizontal and the lower leg is pointed to the upward direction. Therefore, unlike the Symmetrical Triangles that both legs are pointed to the same point, in Ascending Triangles, the horizontal leg is pointed to the right, and the lower leg is point to the upside. Like in Symmetrical Triangles, you have to wait for the resistance breakout to go long when you have located an Ascending Triangle on the chart. Do not go long just because an Ascending Triangle is formed at the top of an uptrend. That was all about Ascending Triangles in technical analysis. I have to recommend you one more time to read the article I published on Symmetrical Triangles here, because the same important points I discussed in that article can be applied to ascending triangles too. The last important thing I’d like to cover in this article is that like the Symmetrical Triangles that you should wait for a breakout to take a position, with the Ascending Triangles you should wait for the resistance breakout to take a long position, because not all the ascending triangles that form on the bullish markets work as the continuation patterns. All the important points about the triangle patterns are explained in two other articles, specially the Symmetrical Triangles one. I recommend you to read them very carefully. What Is the Descending Triangle? Like the other kinds of triangles (symmetrical and ascending), with the Descending Triangles we should also wait for the breakout before taking a position. We don’t enter the market just because it is said that Descending Triangles are continuations patterns on the bull markets and the downtrend will be continued after a Descending Triangle is formed. We should wait for the Descending Triangle support line to be broken first. Then we can go short. We are done with the triangle chart patterns here. Make sure to subscribe using the below form to receive our next articles in your inbox automatically. Which Candlestick Patterns Are the Best and Most Reliable to Trade? Wonderful article! Clear and easily understandable. Excellently helpful. I understood, but reality is very brutal. I think I have identified a symmetrical triangle setup on the daily GBP/CHF chart. There has been an entire candlestick formed outside the triangle. MACD also crossed a few days ago. To me it looks strong and I am still on a demo account so I have gone long, but would like to get your thoughts on it. Thanks! Hi Bob, I see a resistance breakout formed by 2014.08.29 candle on GBP/CHF daily chart, but I don’t see a symmetrical triangle there. Hmm, ok that didn’t work. Maybe I wasn’t looking at a long enough time period for the triangle formation. Do you see a symmetrical triangle on the GBP/NZD chart? I know you probably don’t watch this pair, but I am from NZ so I watch our local currency pairs. I have a triangle on the daily chart with the top line starting on 6 Aug, and candle shadows on 26 Aug & 2 Sep touching it. Bottom line starting on 15 Jul and candles from 14 Aug, 25 Aug, and 3 Sep (just closed) touching it. Is this what you would call a suitable symmetrical triangle? Excellent article. Very easy to understand. this is crystal clear. Be interesting to demo this and do the calculations to see how the trades workout. 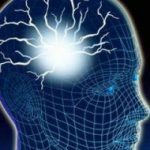 Came across this website and found your articles interesting. Just wanna check with you: what is the recommended number of candlesticks to use in this strategy? It is not the matter of number of candles. It is the matter of pattern compared to the trend. They have to match visually. When the pattern becomes bigger than usual, then it cannot be known as a continuation pattern. It becomes a sideways market. I found your article on google. I like your article more you open secret hidden in market with everybody. I give cradit your article Top Ten. I very happy to read your article. Thanks for your share knowlage in market. Hi , i`m writing again in this article , because i come up very often these types of triangles. They are not that steep and its connecting points(the ups/downs) are in big period between each other. Should i consider it as reliable if the price doesnt enter in appex? this is another great article.I did not know about Dan Zangler. I just find over the internet that he is increase his account for 29.000% in two years. Thanks for yet another great article,. I know trading triangles is outside of the typical trading system that you teach here on LuckScout. I’m curious, though, about a symmetric triangle with an apex that I “see” forming on the GBP/JPY daily chart, and has been forming since January 16, 2017. Would you say this is forming during a consolidation, or would you give more weight to the trend? I have trouble even judging if the “trend” is the longer term bearish that can be seen on the weekly chart, or if the most recent upwards movement prior to the triangle formation would be considered an “uptrend”. It doesn’t look like a typical triangle now and it has become longer than usually, and so we can’t consider it as a consolidation anymore. It means now we can’t say whether the uptrend will be continued or reversed, or the market will keep on moving sideways for an unknown length of time. I mean there is no way to have an analysis and predictions based on technical analysis now. Thank you so much for your explanation and mentorship,! I think the most difficult part of this great setup is recognizing and plotting a correct Symmetrical Triangle first. What are your preferred time frames to use these on? Do you go as low as 30 M ? I prefer longer time frames, daily, weekly and monthly.